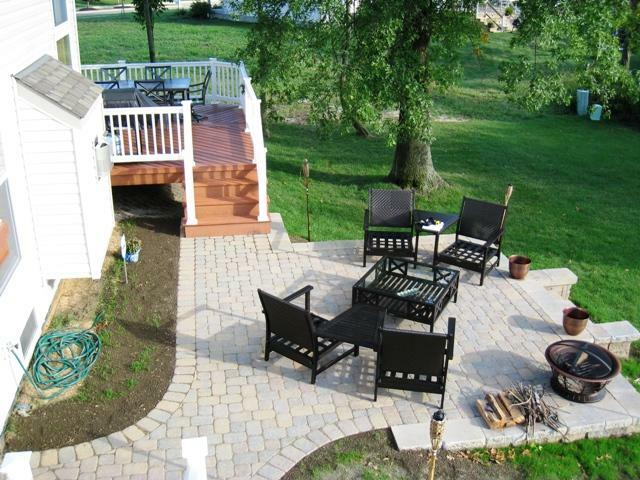 Archadeck of Columbus discusses the trending hardscape designs for Autumn 2013 as we enter into the season for tailgating, fire pits and renewed family time! This beautiful Tiger Wood colored custom multi-level composite deck in Columbus, OH with an outdoor fireplace creates a comfortable outdoor living space. When it comes to keeping on trend with the latest hardscape designs no one around does a better job than Archadeck of Columbus! Recently, I was fortunate enough to talk with Jeff Ortman, the Director of Sale and Marketing for Mr. Mulch right here in Columbus, to find out what is hot in hardscapes right now. 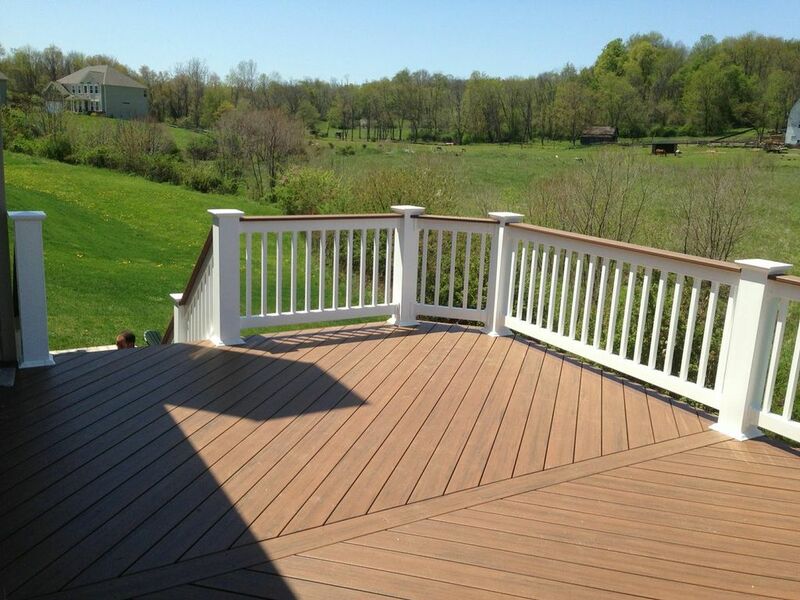 Mr. Mulch specializes in providing area residents a wide variety of items to help compliment their outdoor living needs and has worked along with Archadeck of Columbus on various projects throughout the years. Mr Mulch maintains a respected following in our region and are able to gauge the up-and-coming trends of our community through info from the vast number of residents they consult with on a day to day basis in regards to their various outdoor living accompaniment needs. In my conversation with Jeff Ortman, he pointed out that most consumers aren’t shopping for just a hardscape patio per se; they are looking for ways to enhance the full outdoor living effect and are looking for ways to enhance the “outdoor room” experience. With this in mind, many Mr. Mulch customers are leaning toward outfitting their backyards with the upcoming football season in mind. Mr. Mulch has seen a dramatic increase in the popularity of backyard smokers – in particular the Big green Egg. Many homeowners are planning their backyard patio area to include these smokers by way of an island to make access to the smoker more convenient. 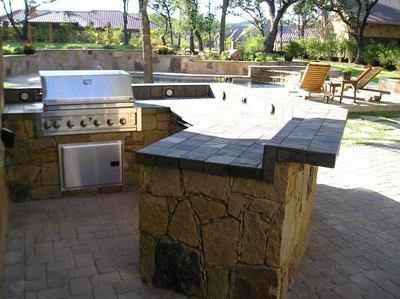 Outdoor kitchens also remain a hot commodity as part of patio designs here in the Columbus area. As a whole, when you include an outdoor kitchen, smoker and backyard patio, homeowners can mimic the feel of tailgating in their own backyard. This is especially the case when you add in a big screen TV mounted to the patio on a Sunday afternoon with a handful of your closest football loving friends- score! 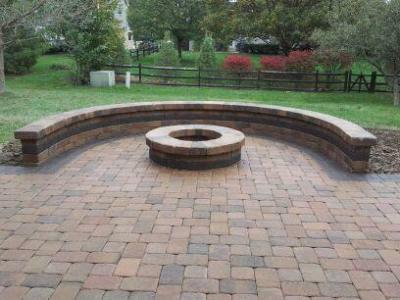 The fire pit and patio combination never goes out of style. 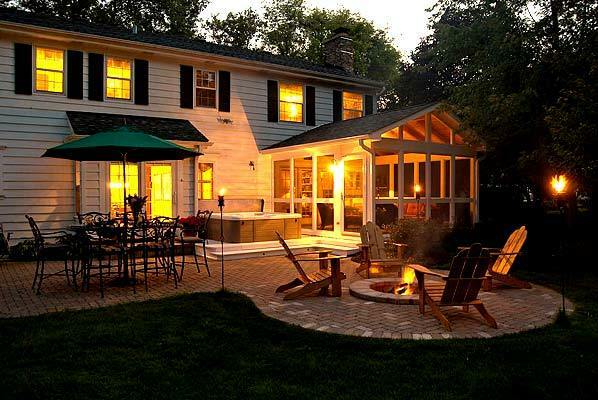 Pictured here is a outdoor living combination of screen porch, spa deck, custom patio and fire pit. 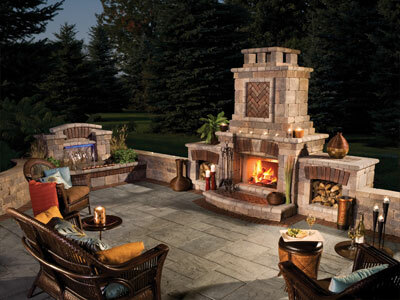 Along with the popular backyard “tailgating” effect that is a growing trend among Columbus hardscape designs, Jeff indicated the continued popularity of patios designs featuring fire elements. 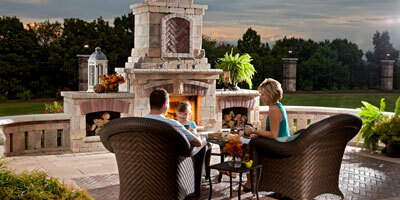 The love of the outdoor fire pit and the outdoor fireplace remains steadfast among Columbia homeowners. Natural wood-burning fire pits and fireplaces seem to be the method of choice here in our area because of the classic ambiance natural wood creates – and wood costs less to burn. Imagine cuddled up around your custom fire pit by Archadeck of Columbus in your beautiful Amish-made Berlin Gardens Adirondack chairs from Mr. Mulch making s’mores with your family on a crisp autumn evening a delight. With so many hardscape colors and styles to choose from, sometimes it can be hard to decide on the right hardscape for your dream patio or paver project. With this in mind, I asked Jeff his “most requested” colors and styles. He indicated that customers are leaning toward a more natural looking stone or classic style paver look. Among the most requested color, hands-down is coffee creek, and among the most requested brand is Unilock. Unilock is a good quality product with a good quality price point – who could ask for more? Archadeck of Columbus wants to cordially thank the professionals over at Mr. Mulch for all that they do, and especially to Jeff Ortman for his help on keeping on trend with his clientele. We value our relationship with Mr. Mulch, and look forward to many happy returns in the future! For more inspiring examples of trending hardscape patio designs please visit our outdoor living photo gallery located on our website. Here you will find more images of Columbia area outdoor fireplaces, fire pits, and outdoor fireplace designs! 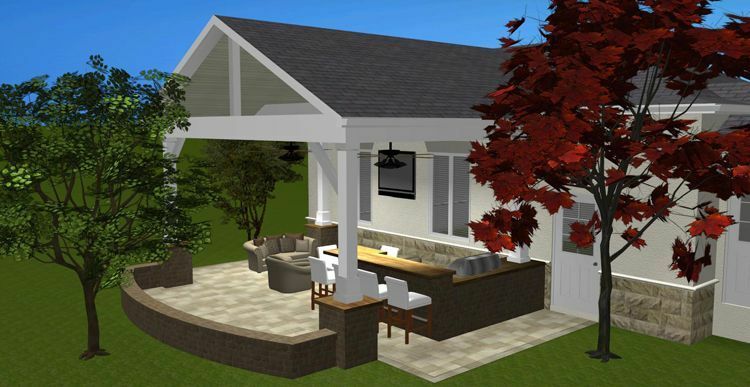 Archadeck of Columbus gives us a peak into an upcoming outdoor living combination project that includes a covered porch, outdoor kitchen and hardscape seating wall. A first look into our upcoming covered porch, hardscape and outdoor kitchen project in Dublin, OH. Archadeck of Columbus is excited to preview an upcoming outdoor living combination project that we are scheduled to begin in Dublin, Ohio. The homeowners have an existing patio which we plan to adjoin a gable roof open porch complete with a fully functional outdoor kitchen and seating wall into. Part of the design will include encompassing elements of existing walls into match their existing patio. The result of tying in these elements will deliver an outdoor combination living space that is eclectic, yet elegant. Notice how the hardscape seating wall will tie the entire space together promoting a cozy feel. The new hardscape space will be completed using Unilock Beacon Hill pavers in Sierra, which will make a dramatic impact used in the new seating wall that skirts the perimeter of the porch space and will add valuable seating options to the outdoor kitchen portion of this design. The porch pillars will be wrapped in Polonia wood, adding clean lines to enliven the texture of the multiple hardscapes used throughout the design. Archadeck of Columbus also plans to introduce outdoor lighting to the upcoming space for added safety, function and to promote ambiance. 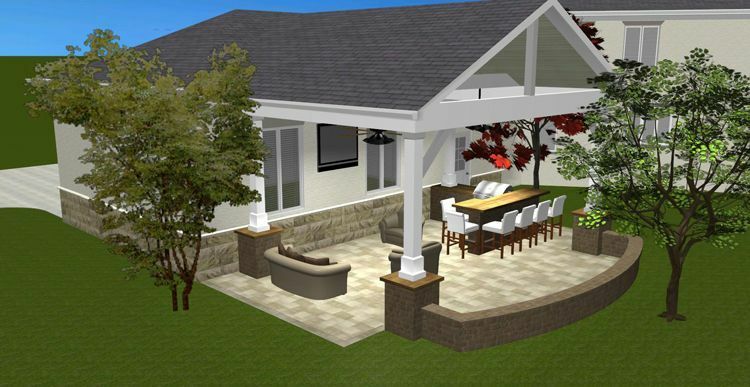 This rendering shows the way the Brentwood stone will accentuate the additional hardscapes used in the project. On the outdoor kitchen portion of this project we are using a specialty stone called Brentwood stone. This unique stone will be used as the countertop for the outdoor kitchen and on the pillar caps to gently frame the space with subtle accents of stone. Since it will be necessary to have the stone sized, the stone will be cut in Missouri and shipped directly to Archadeck of Columbus. As is the case when using any type of specialty stone, it is important to remember you first have to build the base, create a template and then build to those specifications. If these steps are not done with precision and in a timely manner, this can delay installation of the stone or even delay completion of the entire project. 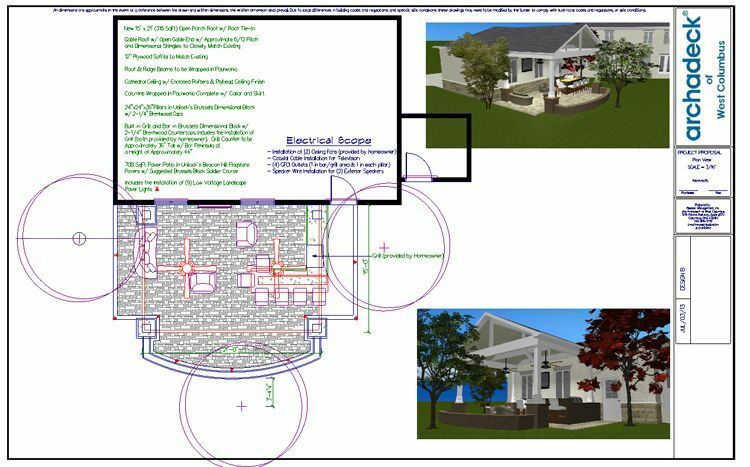 Detailed design rendering prepared for upcoming Dublin, OH outdoor living space. When planning our projects, we make every effort to ensure even the most minute details fall into place giving you a project that is finished on time. Part of this process includes creating a detailed design rendering of your anticipated outdoor space, a project scope and making sure all the materials including the specialized ones, are measured and ordered out in a timely manner. We make sure “no stone is left unturned”( no pun intended), in providing you with the outdoor living space of your dreams. These Dublin homeowners are excited about starting their backyard makeover and cannot wait to start enjoying it! Please visit our porches photo gallery and our outdoor living photo gallery located on our website to see more examples of outdoor kitchens designed within porch settings. 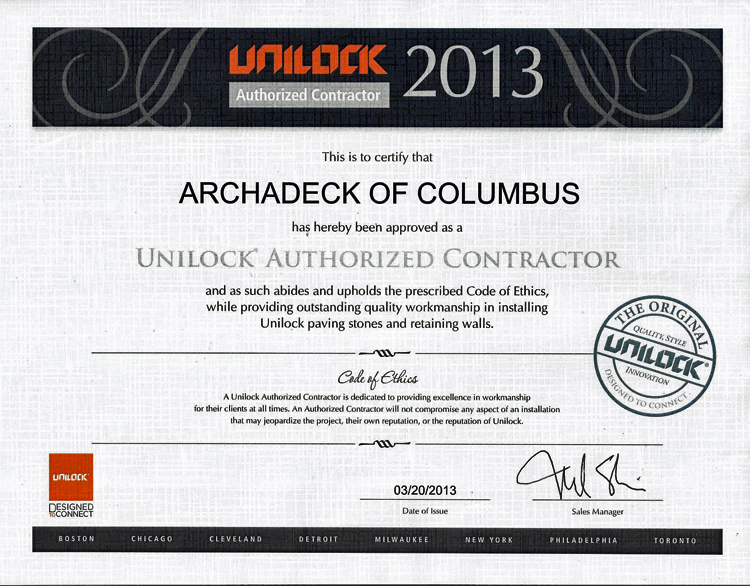 Archadeck of Columbus is now an authorized Unilock contractor! 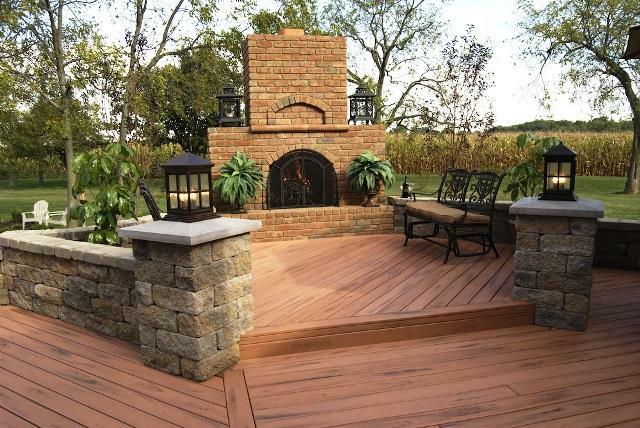 Archadeck of Columbus is proud to offer Unilock products to their already extensive line of high-quality hardscapes. This outdoor oasis was built using Unilock wall accents- photo courtesy of Unilock. 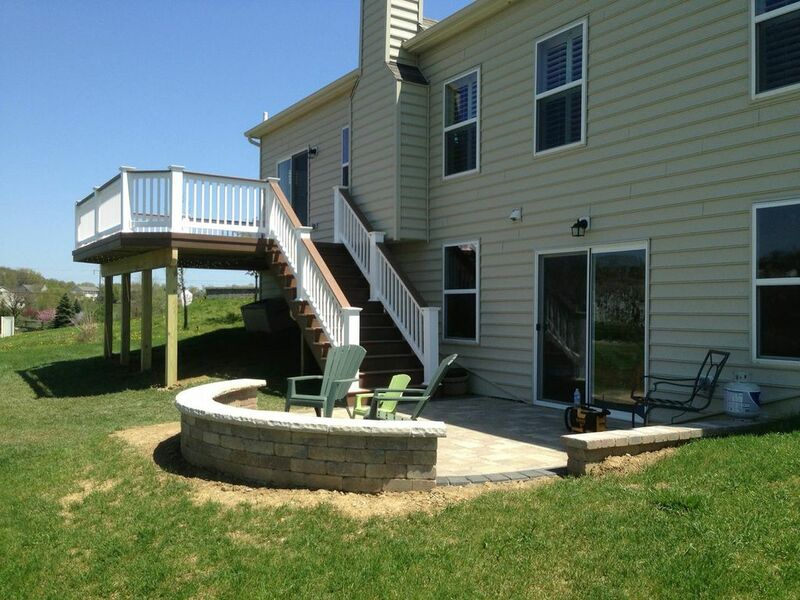 Archadeck of Columbus is now an authorized contractor for Unilock pavers. Unilock has been a great product for us but we are happy to have recently been approved as an authorized contractor. In order to do so, candidates must be verified as a reputable company in regards to warranties, proper installations and correct certification. This invitation is only granted to a select few and we’re honored to be chosen. Unilock is an international company with a wealth of great products. Some of their new products to keep an eye out for include their new wall product, Rivercrest™ Wall. This product offers the character and flexibility of natural stone with the durability and affordability of concrete. Another newcomer to the Unilock family is Thornbury™pavers. 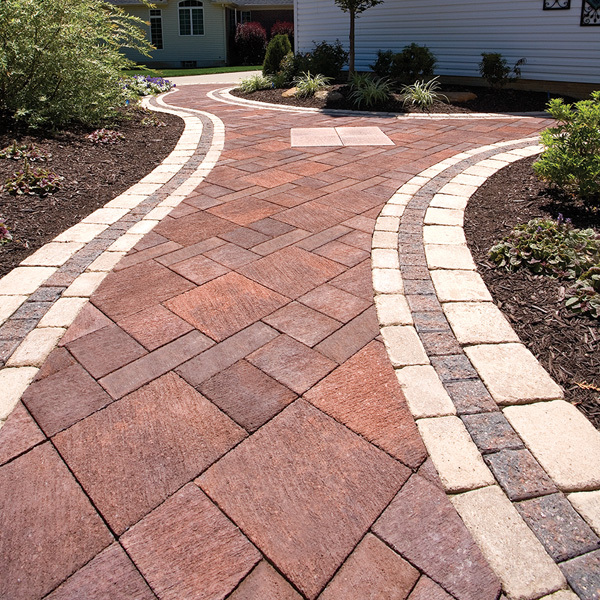 These pavers are ideal for both standard and permeable installations. It delivers a modestly textured surface and three compatible sizes allowing for a pleasing look. Unilock also introduced a new paver called Belpasso which is one of the most durable pavers available today because of its ability to resist stains. Among the most favored characteristic within the family of Unilock products is their use of EnduraColor products. EnduraColor is a unique pigment process. The process utilizes more than just a top-color only process but allows pigment to go deep into the paver. Unilock has been manufacturing products with the EnduraColor and EnduraColor Plus features for twenty years. First introduced in 1992, both technologies are exclusive to Unilock. EnduraColor uses high quality surface aggregates for increased durability. It also incorporates additional cement within the top layer of their product for reduced water absorption. What this means to the homeowner has a surface which is smoother, has more color stability, and wears better than traditional pavers. Unilock offers a huge selection of products featuring extensive color selections to suit any taste. They are also cutting edge when it comes to their designs such as offering the same color schemes for vertical products as they do pavers. Their palette is always evolving. Unilock also offers transferable lifetime guarantees which is another plus for us in the way Unilock solidifies its commitment to providing an outstanding product and promise to the customer. You can view photos of gorgeous Columbus hardscape projects from our extensive portfolio by visiting our hardscape and patio photo gallery and our outdoor fireplace and fire pit photo gallery located on our website. 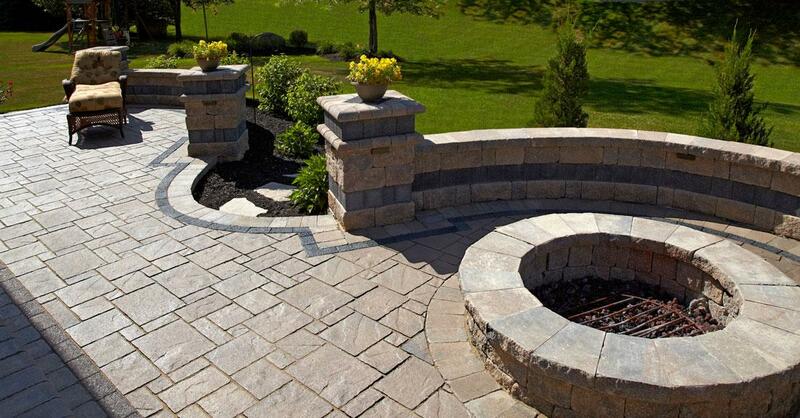 To learn more about the Unilock line of superior hardscape products and how they can enhance your outdoor living design contact Archadeck of Columbus today for a free consultation (740) 879 – 3730 or email us at westcolumbus@archadeck.net. Author archadeckofcolumbusPosted on April 17, 2013 Categories Hardscape designs, HardscapesTags Archadeck of Columbus, Belpasso pavers by Unilock, Columbus Oh fire pits, Columbus OH outdoor fireplaces, Columbus OH patios and hardscapes, Columbus OH Unilock Paver Patios, Enduracolor and Enduracolor plus by Unilock, Patio and deck combinations, paver patios, Paver patios Columbus, Rivercrest wall by Unilock, Thornbury pavers by Unilock, Unilock PaversLeave a comment on Archadeck of Columbus is now an authorized Unilock contractor! Archadeck of Columbus discusses the color trends in hardscapes. 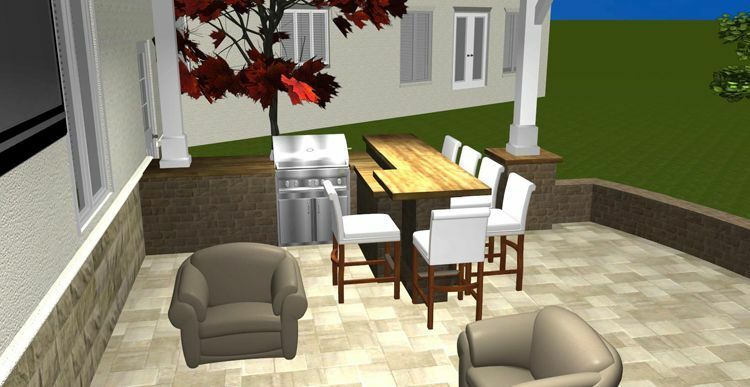 This CAD design rendering showcases some of the hottest trends in hardscape designs. As an outdoor structure design and build company, we pay close attention to the color trends in all aspects of outdoor living spaces. 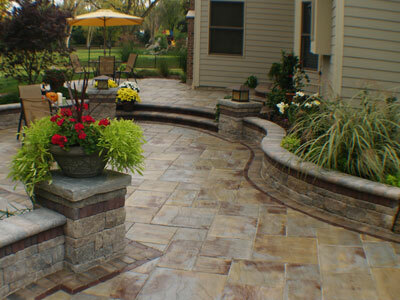 Hardscapes in particular are ever becoming a more popular choice. Whether your vision of a hardscape is a retaining wall to border your landscape, or a patio, a path or seating wall, choosing the right color is important to your overall satisfaction with your new outdoor space. Among the many color trends we are seeing in hardscapes are homeowner’s choosing colors that closely match their home. Choosing a color to closely match the exterior of your home is more easily achieved through stain and stamp style applications. Pavers have a lot more variations within each color because they are blends, which can be a little trickier to getting an exact match. Earth tones are being used more readily, which encompass a neutral base and allows for easier color matching options. Contrasting colors are also popular with hardscape designs. One way to incorporate contrast through color is by adding a border to your hardscape. Soldier course and sailor course borders are popular. A soldier course involves the brick, or paver, used as a border or edging standing up, whereas a sailor course lies down flush with the patio. With borders, like a sailor course, darker ribbons around the edges of your hardscape not only add a stunning contrast, but they also serve as an outline to indicate where the edge of the patio ends. Texture is just as important as color and is also a great medium used to add contrast. Right now the old Chicago style street banding is being requested frequently. This style involves changing the color in the banding to deliver a vintage look. We are seeing a lot more variations in banding by using red bricks too. You may also consider using two different color pavers, with different textures to add contrast to your design. A good example of this approach is using a standard brick with a soldier course in tumbled brick, or using a traditional clay paver with an embossed finish. Choosing a hardscape professional that is inclined to “think outside the box” will help you achieve a unique contrast within your hardscape structure. Among the most popular multiple living structure combinations is the deck and patio. In order to get a beautiful, on trend hardscape you don’t always have to use contrast. You can still achieve a stunning effect by playing up the darker and lighter tones of the same hardscape material. When using pavers, the same pallet will hold different degrees of dark and light pavers within the same color base, and when installed to play up these difference you can create a breathtaking finished project. 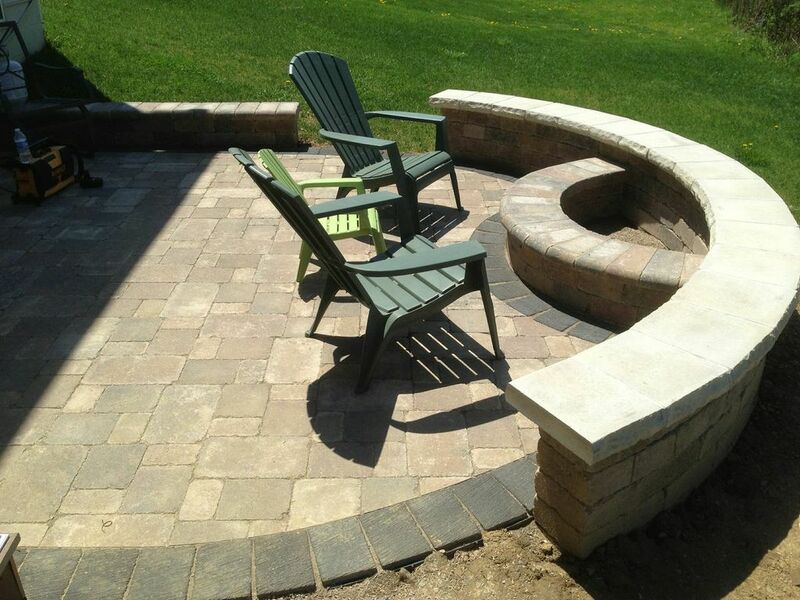 The curved seating wall and fire pit is a great way to add vertical dimension to this patio in Columbus, OH. Along with color, texture and contrast there are still a myriad of ways to bring out the individuality in your hardscape. A great way to add vertical interest to areas like retaining and seating walls and built-in grills is to use different kinds of curving. If you have a slightly raised bed outside your patio there are curving products that can add dimension and elevation to the patio. Among my personal favorite of growing trends are multi-level outdoor spaces that include fire features, seating walls and even pillars. Pillars add drama and vertical dimension and can even include lights in them to shine down on the face of the pillar. We often see coach lights used on top with different bands which can be used at both ends of a seating wall or to define an entrance into the backyard or a walkway leading to a patio. Curving can even be used on the front of your home to add flair; this can be achieved through concrete steps, or even adding a new paver walkway that leads to your entry. Hardscapes in the front of your home will also add a tremendous amount of curb appeal. 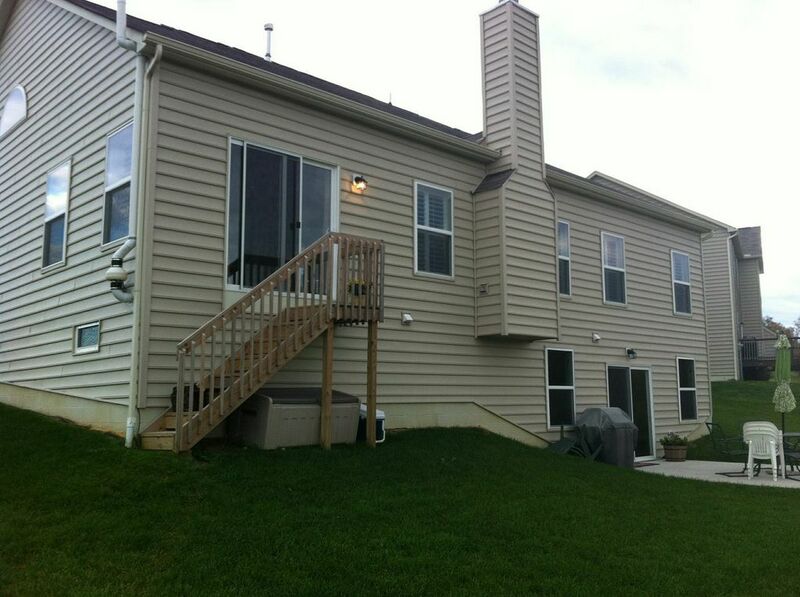 Throughout 2012, and continuing into 2013 multiple living spaces remain big. 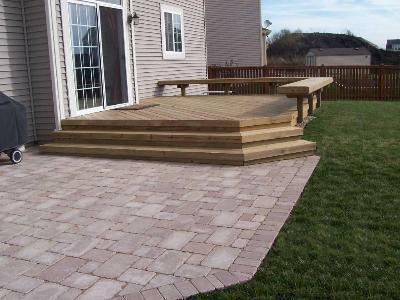 This includes combinations of hardscape spaces and deck or paver spaces. As we look into the New Year we anticipate the popularity of solar paver lights to increase. These pavers have replaceable batteries and can last for up to 100,000 hours. Unilock offers a solar paver, as well as a line of glowing pavers that charge during the day and glow at night giving the appearance of “glowing in the dark”. These unique additions to the Unilock line of quality products are great for creating ambiance. See more inspiring photos of beautiful hardscapes by visiting our patio and hardscape photo gallery and our outdoor living photo galleries located on our website.